It’s been 12 years since I first read Abigal J. Sellen and Richard H.R. 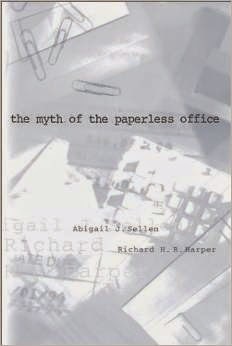 Harper’s book, The Myth of the Paperless Office. It remains one of my favorite no nonsense analysis into the subject.